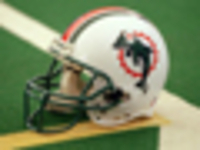 Visit the Dolphins' official website for your daily fix of team information. After a disappointing season in Miami, WR DeVante Parker looks to reestablish himself under the new staff and culture brought in by head coach Brian Flores. The Miami Dolphins have insisted that, despite what some recent roster decision might imply, they are not tanking. But that doesn't mean they're not invested in a rebuild. As Dolphins GM Chris Grier describes it, Miami's front office isn't actively working to lose games this year. It simply isn't as concerned with 2019 as it is 2020. Cam Wake and the Tennessee Titans have agreed to a three-year, $23 million deal, NFL Network's Tom Pelissero reported, per a source, on Tuesday evening. DeVante Parker signed a contract extension through the 2020 season. NFL Network Insider Ian Rapoport reports the deal has a base value of $11.1875 million. The Miami Dolphins have added another veteran executive to their renovated front office. Miami hired former Oakland Raiders general manager Reggie McKenzie as a senior personnel executive. Dolphins general manager Chris Grier told reporters, per the Miami Herald, that while no decision has been made on Tannehill just yet, the Dolphins will definitely consider selecting a quarterback in this year's draft. It's official: Miami's new head coach is Brian Flores. The Dolphins announced the hire Monday, less than 24 hours after Flores' Patriots defense allowed just three points in Super Bowl LIII. NFL Network's Mike Giardi reports that New England Patriots linebackers coach Brian Flores will be introduced as the Miami Dolphins' new head coach on Monday. Brian Flores isn't talking about his next job. Just his current one. The current Patriots DC and presumptive Dolphins head coach said he's focused only on Super Bowl preparations against the Rams. Jim Caldwell is expected to join Brian Flores' coaching staff in Miami, NFL Network Insider Ian Rapoport reported Monday. Caldwell is slated to take on a senior advisory role. 4/9 Reece Horn (WR) Free Agent Signing (free agent signing). 4/9 Jay Elliott (LB) Free Agent Signing (free agent signing). 4/9 Kenneth Farrow (RB) Free Agent Signing (free agent signing). 4/9 Michael Dunn (OT) Free Agent Signing (free agent signing).